Please check Part One on last week’s blog, if you have not seen it. This week in my second post, I’ve corralled SEVEN more of my favorites. Here are the fresh new books you may not have discovered. I’ve selected books that are personal, vivid, surprising and original. 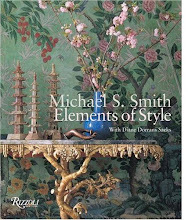 I’ve researched and found new volumes with elegant designs, eccentric interiors, travels to India (again), Georgian classics on my mind, witty name-dropping, casts of fascinating characters, and inspiration and vivid imagery on every page. 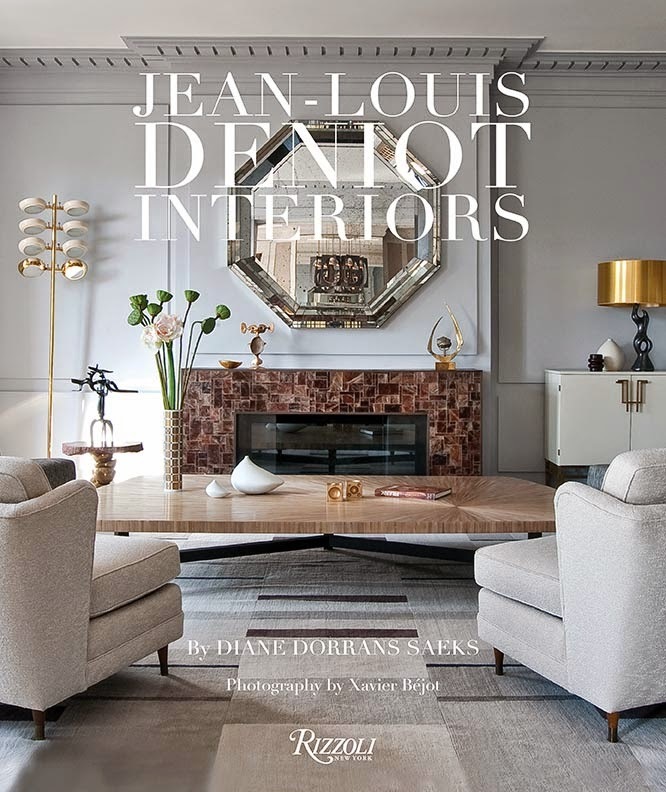 These volumes are essential for a well-stocked design library—and perfect gifts for a design student, for architects, for lovers of décor and collections, and for my readers who every day love to find new ideas and a world of wonder and delight. 1. English Decoration: Timeless Inspiration for the Contemporary Home by Ben Pentreath with a foreword by Nicky Haslam. 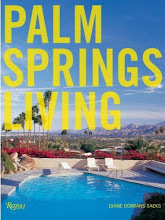 Photography by Jan Baldwin Published by Ryland, Peters & Small--CICO Books. I’ve been following London interior designer Ben Pentreath’s informative design/antiques columns in weekend editions of the Financial Times for some years. I love his blog, www.benpentreath.com/inspiration in which he talks of his renovation of a Regency parsonage, his country house and garden in West Dorset. 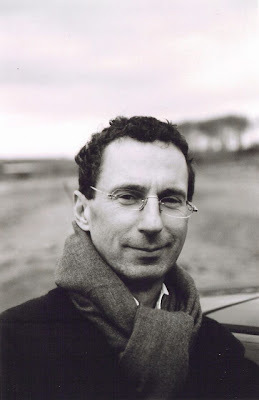 In the highly focused blog and in his new book, Pentreath writes lavishly about his clients’ libraries, Spitalfields, Liverpool, old wallpaper, his tiny Georgian flat in Bloomsbury, his Victorian shops in Rugby Street, a love of Piranesi, interiors, friends, travels to Siena, London, books, friends, and everything worth knowing about English design. 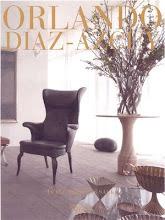 A confident eccentricity and passionate approach to rooms are at work in this book. Nicky Haslam’s intro invites us all into the London design world. 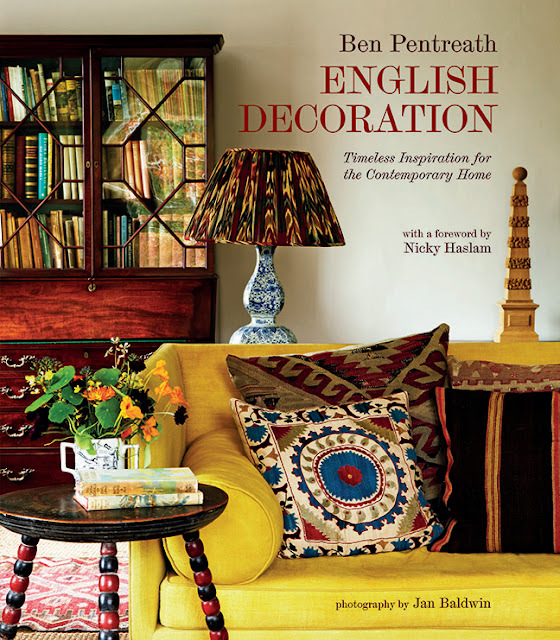 ‘English Decoration’ is Pentreath’s homage to traditional and updated English interior design—in all its modesty, timelessness, lack of flashiness, and with a dash of fustiness even. 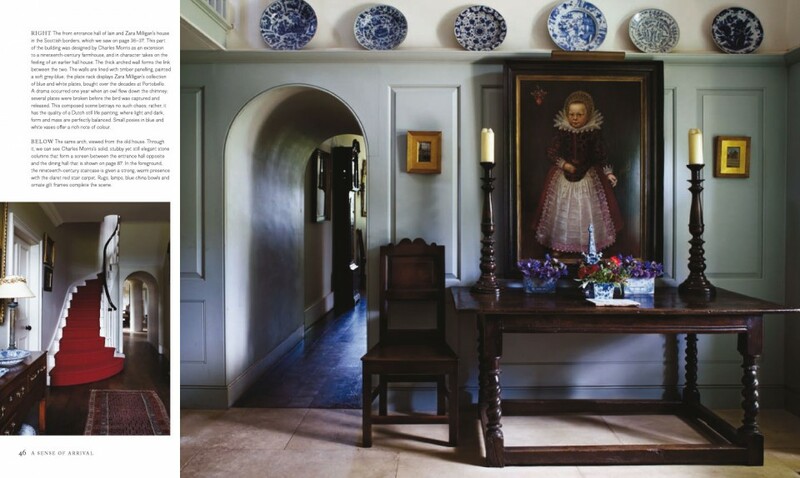 The pages and images of ‘English Decoration presenting are lit by the soft gloaming of English winters and spring’s pale dawn light. 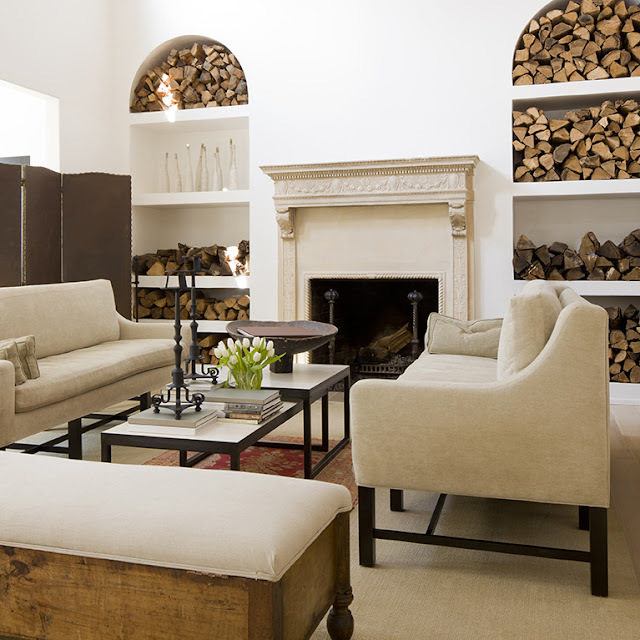 Un-done rooms are a riposte and an antidote to glitzy and over-zealous decor and thematic design. 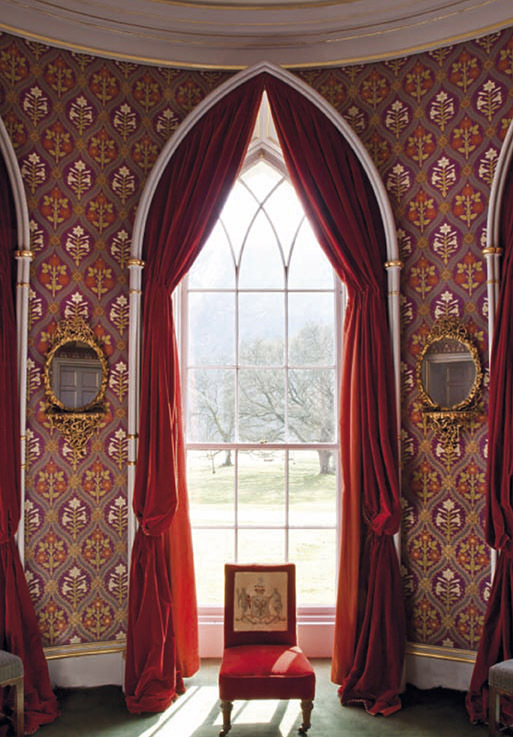 In a season of decorating books, Pentreath’s work’s a surprise. At first look, I thought the images were perhaps a little drab, rather soft-focused--a result, clearly of the capricious English weather. 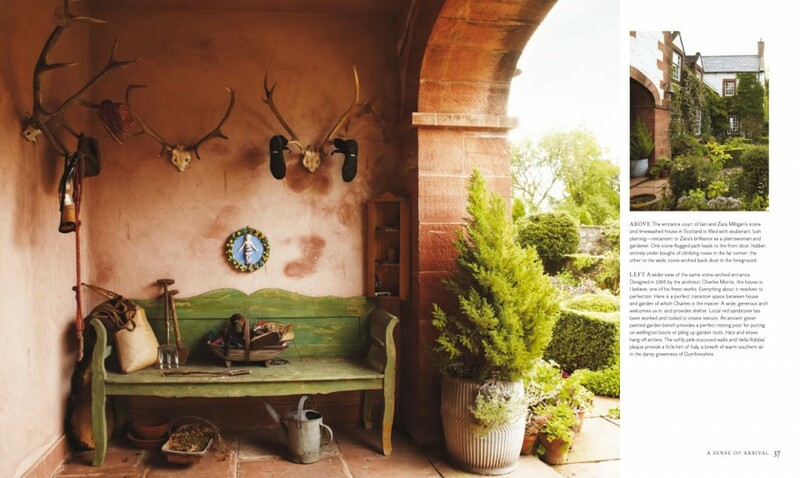 But on closer reading, I find photography by Jan Baldwin is moody and atmospheric. I loved Ben’s detailed and generous captions and I succumbed to his enthusiasms and passions for old houses, vicarages, descriptions of owls calling in the night, the unfurling of a copper beech beside his bedroom window, his favorite classic interiors, his friends’ houses. Text to savor. 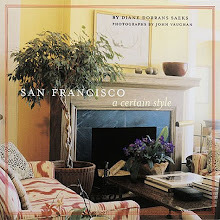 Throughout the pages, readers can see the influences of Christopher Gibbs, David Mlinaric, David Hicks, Nicky Haslam, and Roderick Cameron, et al, the gods of English design and the best of inspiration. But his admiration is tempered with knowledge. Pentreath’s approach is not grand. 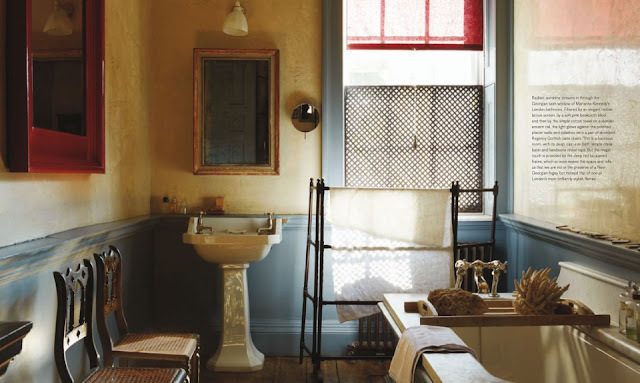 It’s homage to the cottage, a Georgian flat, the parsonage, and farmhouses, some a little disorganized and scattered, all without the look of decorated perfection or gloss. 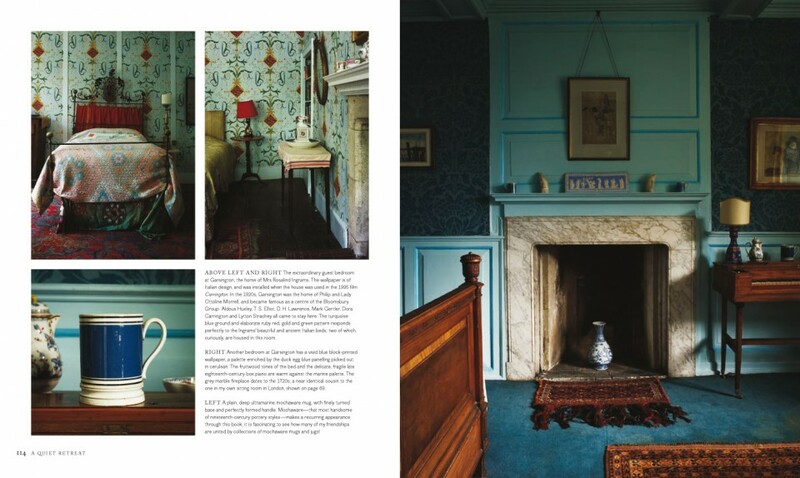 The book is planned along fairly abstract lines with chapters on ‘A Sense of Arrival’, ‘A Quiet Retreat’, ‘Rooms of Display’, or ‘Rooms of Utility’. 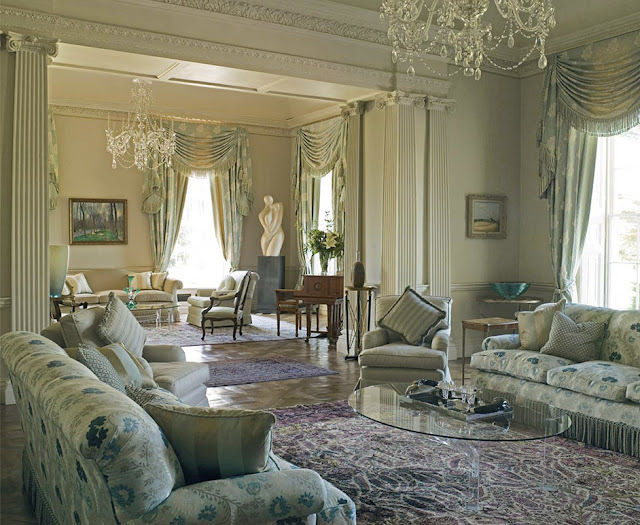 A reader is dreaming of and immersed in, say, an English country house and its stone floors, and turns the page looking for more, and it’s onward to a lime-washed house in Scotland (the house of ‘Zara Mulligan’ whoever she is), or onward to a neoclassical house in Suffolk. It’s a bit higgledy-piggledy in a good way—rather like traipsing through English houses on a weekend, with Ben as a passionate and highly knowledgable guide, wandering from room to room, from village to hamlet. 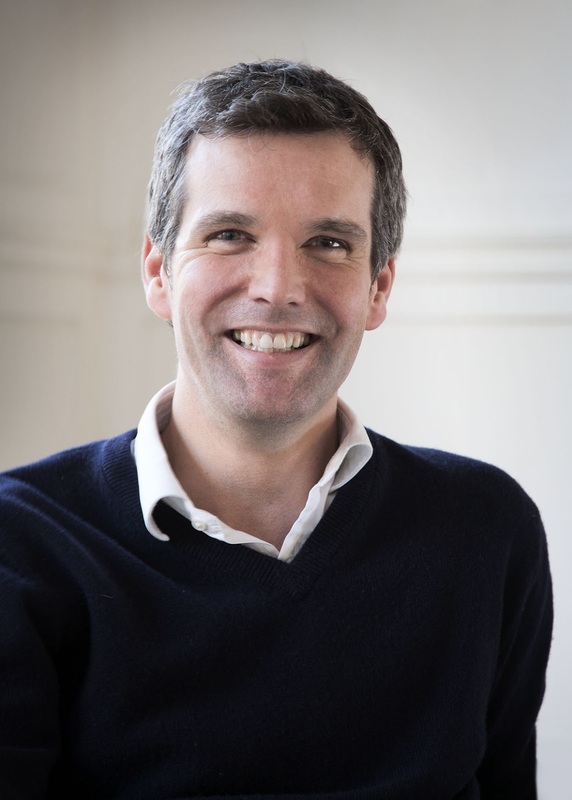 Ben’s captions are long, chunky with details, very insider and sometimes quite gossipy. It’s as if he wrote it for his intimates and his fellow Londoners—and wants his readers around the world to join that happy few. It’s a book to read slowly, take in, ponder. 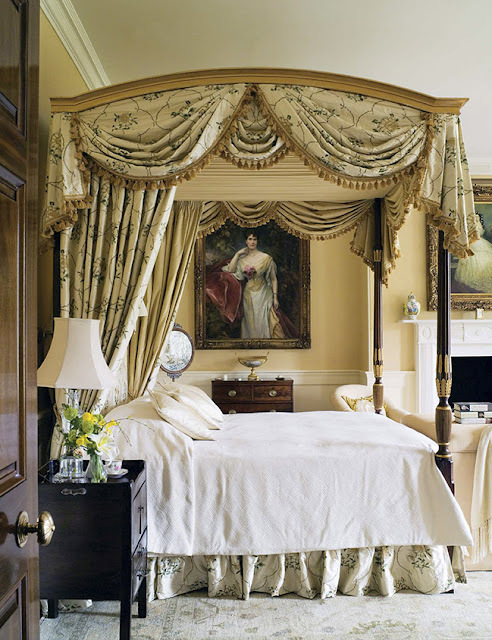 Chapter Three is on ‘Comfortable Rooms’ and each one (starting with Garsington) will make you want to live in England. 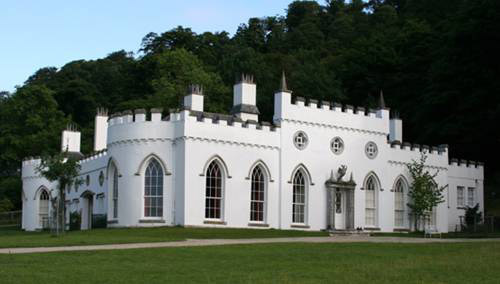 Or visit. Soon. Sooner. And go and meet Ben. I hope you do! 2. 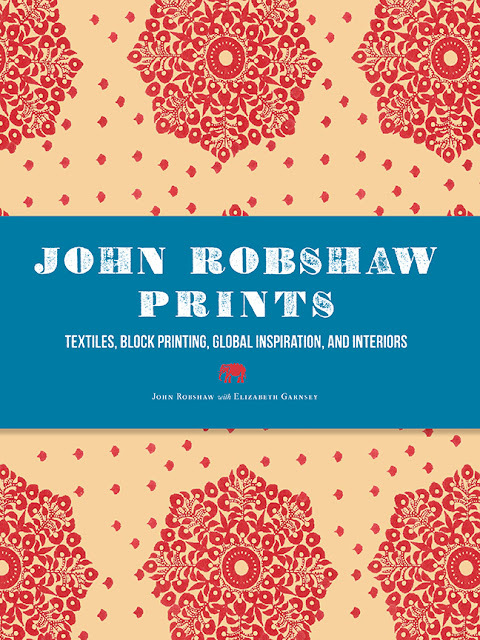 John Robshaw Prints:Textiles, Block Printing, Global Inspiration, and Interiors by John Robshaw with Elizabeth Garnsey (various photographers) (Chronicle Books). Any fabric designer who works in Asia—and crafts his one-off textiles in the traditional workshops of India—gets my attention. 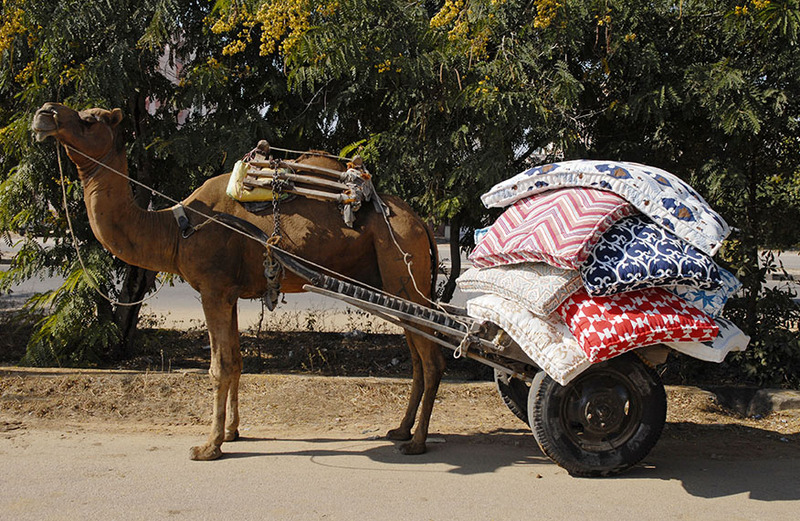 I’ve been following John Robshaw’s witty and charming collections of India-inspired cotton textiles for decades, and I recently had the great pleasure to meet this modest, bright, and cosmopolitan designer. 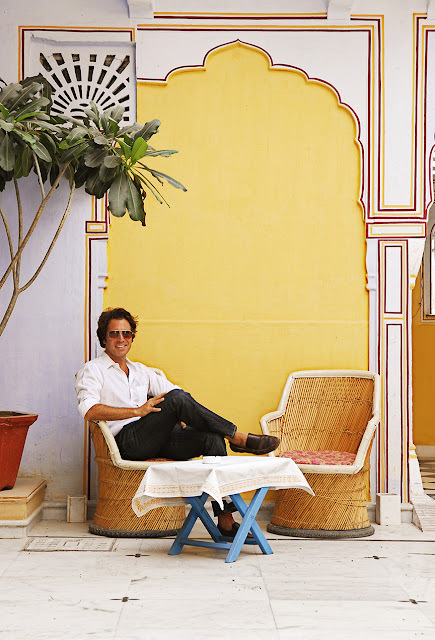 I spend a lot of time in Jaipur, India, and this is one of the regions where John has created many of his block-printed, ikat and batik and dyed fabrics. Of course when we met at Summerhouse in Mill Valley recently, we chatted about our favorite hotels in Jaipur—and discussed how fast the city is losing the camel-drivers and horse-drawn carriages and bullock carts and dusty lanes of just five or ten years ago. But his textile specialists continue. I know well the workshops where John’s craftsmen create the intensely hands-on and individual and highly chic-simple style and adore the historic nature of everything he does. Robshaw takes the reader along on his dusty and sometimes eccentric and always fascinating journey, as he studies at Pratt, and sets off around the globe, and finds craftspeople working the slow way to create beauty. Robshaw becomes entranced with the centuries-old techniques in India and later batiks and other textiles. Workers arrive at his workshops on wobbly old bicycles. I admire specifically that Robshaw focuses here on textiles that flaunt centuries of traditions and utility, the beauty of quirky and uncertain processes. Images of men-at-work carving blocks or making batik offer ideas to designers and fabric beginners. Chapters include interiors that feature Robshaw’s fabrics, as well as his work in Java, Bagru, and the wilds of Asia. On these pages (notice his praise of the Diggi Palace hotel in Jaipur), a reader can follow in his footsteps and learn along the way. Images show many details of Robshaw’s designs, his work in progress, Indian architecture, and vivid scenes of authentic Asian life as it is lived today (as it was centuries ago). 3. The Collected Home Rooms with Style, Grace and History by Darryl Carter with Trish Donnally. Photography by Gordon Beall (Published by Potter). Writer Trish Donnally is a longtime friend. 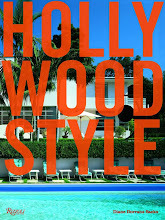 She works well with Darryl Carter, and I admire this pretty and ultra-focused book. It’s Carter’s second book. His first, ‘The New Traditional’, was also co-written with Donnally. Carter’s aesthetic is consistent and pure and disciplined and for that I am in full admiration. Carter’s color palette goes all the way from ivory to beige and his paints are the subtlest colors on the planet. If he ever uses bold color (well, there is an orange door, but that’s an anomaly) his splash-out is not apparent in this ultra-quiet and low-key almost monochromatic book. 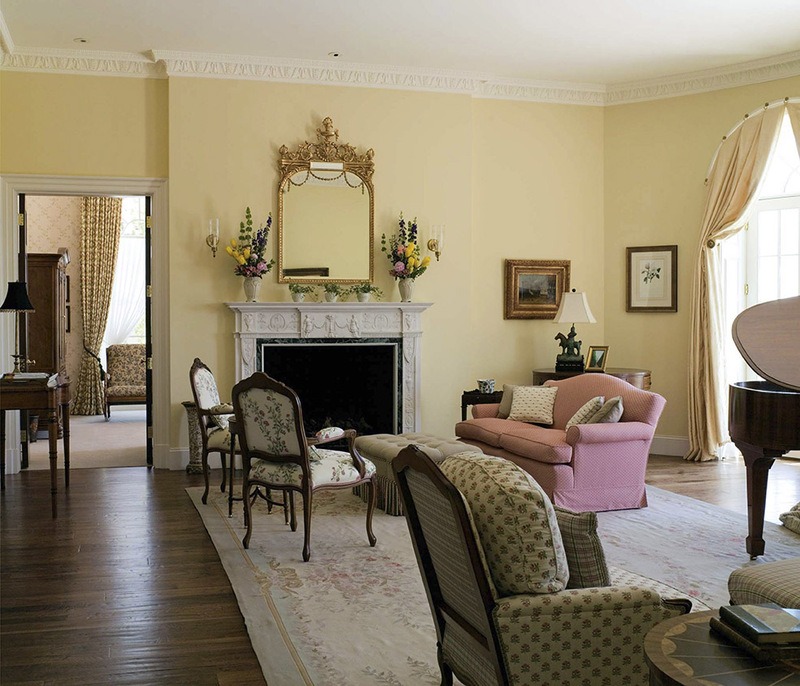 It could be called with great admiration ‘beige rooms with dark wood furniture and floors’. It’s beautiful in its restraint. 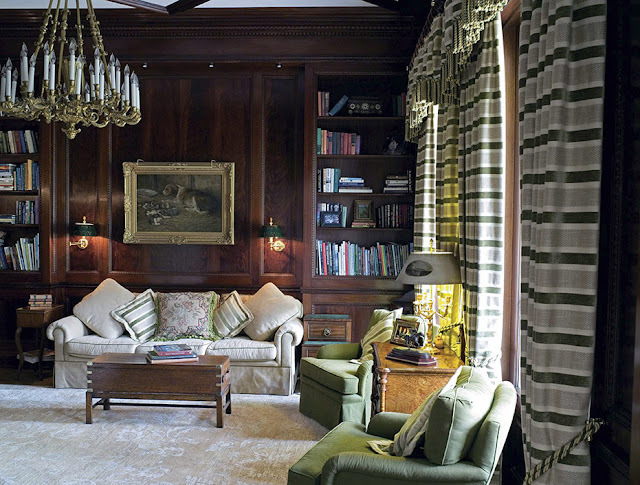 The influence of the great designer and connoisseur Bill Blass hovers over every room. In a great way. It’s also homage to Carter’s paint collections for Benjamin Moore and paint ‘swatches’ in pale shades are provided. He designs products that are shown here. Chapters are quietly inspirational as they appraise architecture, take a sensible approach to starting on décor—and speak of his love of collecting, textures (you need texture and high shine with these pale backgrounds), and his clean, spare aesthetic. 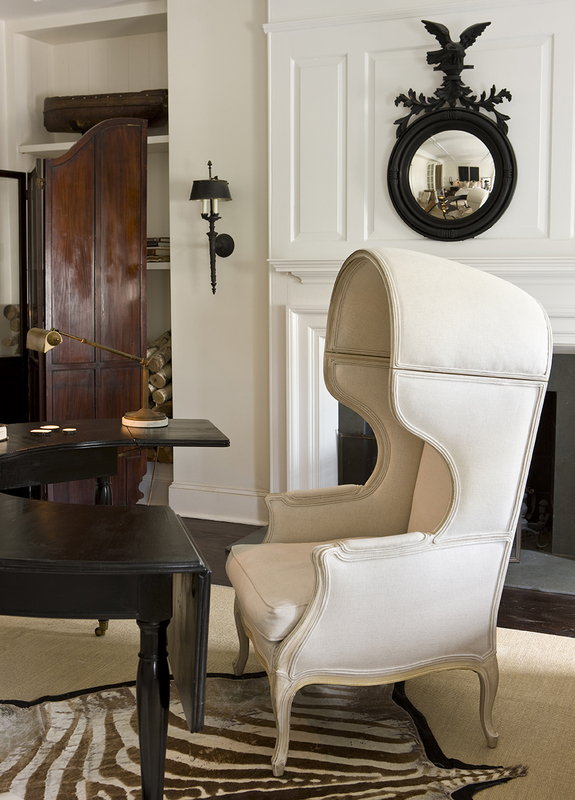 I’d love to have seen much more information in each caption—so that a close reader could be wowed by the collections, swept up in his meticulous antiques, and most importantly well-informed about the mix of dining chairs, and clued in to the logic of a kitchen island and its products and materials. The children’s rooms are wonderfully chic. Message to Trish and Darryl: for your next book, please provide lavish and highly detailed captions that place readers in the picture. I’d love to read much more of Darryl’s wise insight, professional knowledge, and information. He’s a gem. Thank you. 4. 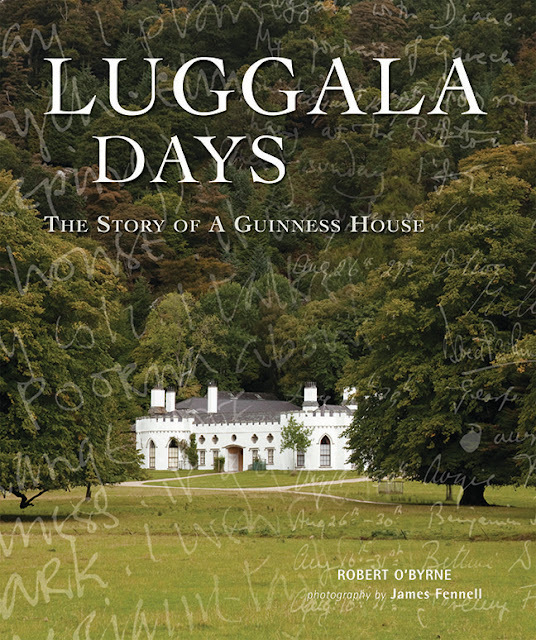 Luggala Days The Story of a Guinness House by Robert O’Byrne with photography by James Fennell (CICO Books, London and New York). 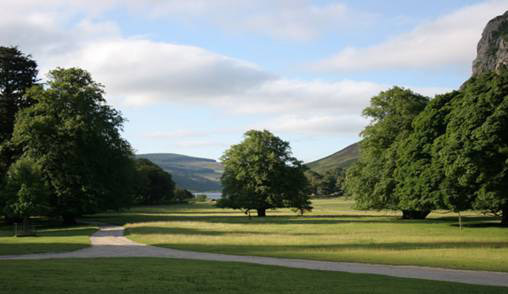 Luggala is an 18th century Gothic Revival fantasy house at the center of a 5,000-acre estate in remotest Ireland (well, 25 miles from Dublin but surrounded by gloriously scenic acreage). This is its carefully crafted and very detailed biography—with family-tree diagrams to help readers follow the Byzantine dates and marriages and twists and turns of fate and life. 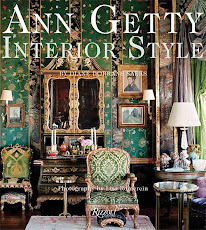 I’d always be drawn to a book that features Oonagh Guinness, the La Touche family, David Mlinaric, Mick Jagger, Caroline Blackwood, Valerian Stux-Rybar, Charlotte Rampling, the Marquess of Dufferin and Ava, Dennis Hopper, Marianne Faithfull, Gothic interiors, the Irish coast, Brendan Behan, Irish antiques, Georgian decor, Irish aristos, mischief, Pugin, and Lucian Freud. Everyone who was anyone. I’m reminded of that fabulous French expression ‘The Happy Few’. Scrapbooks of family and guest photos are worth the trip. 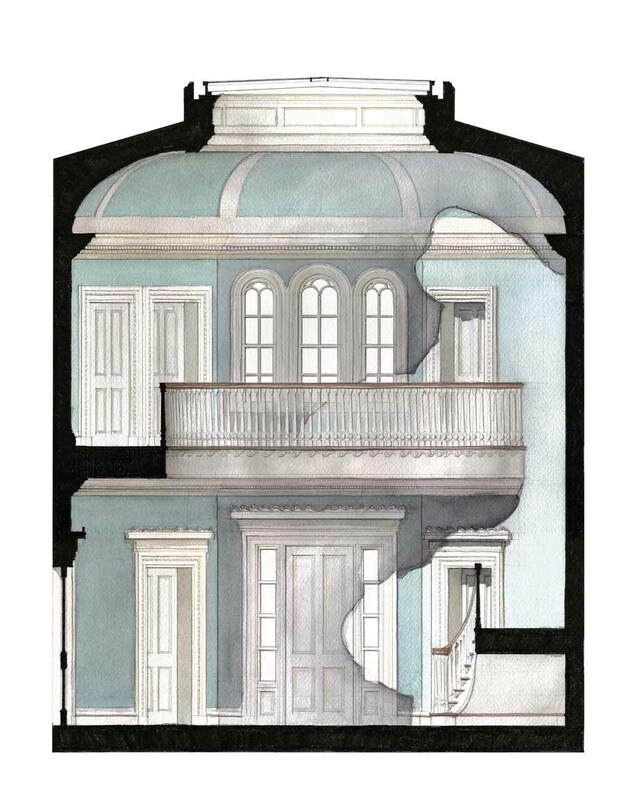 It’s a witty tale, full of sound and fury, signifying friendships, a beloved family residence, fires, betrayals, pretty children, portraits, elopements, artists and changing mores. The house is beguiling, the story richly detailed. 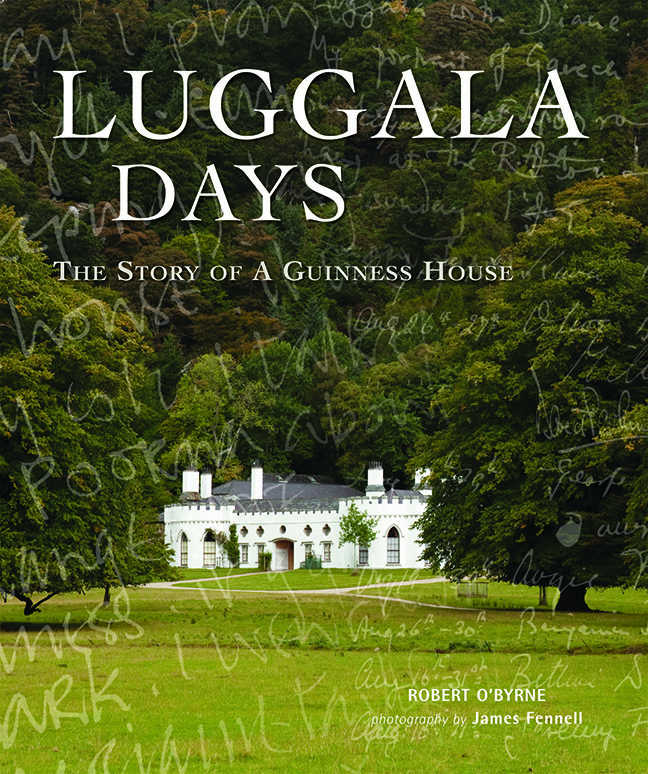 It’s a biography of a house. 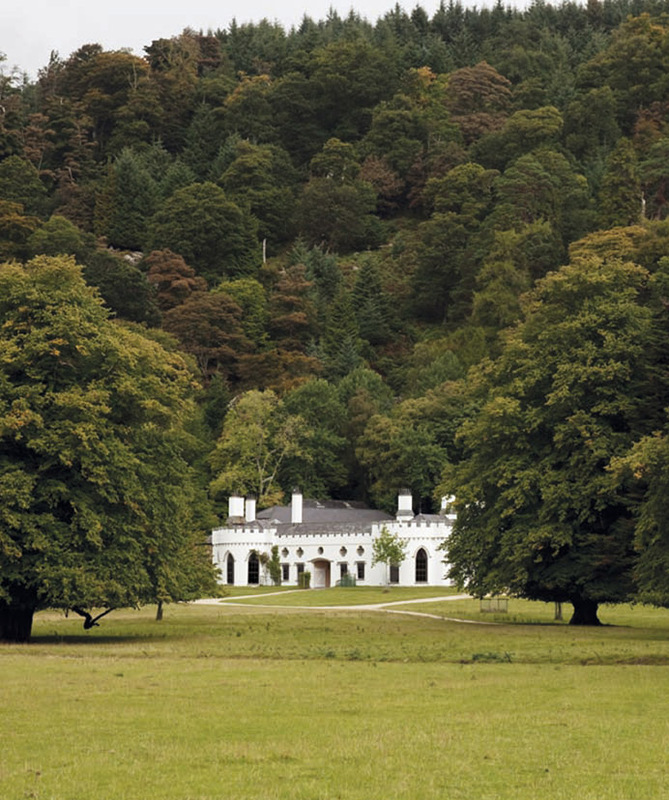 Note that on the estate are several charming Wicklow-style cottages that can be rented. Might be a glorious holiday rental—or a clever way to get an invitation to visit Luggala. Good luck with that. 5. Contemporary Classical: The Architecture of Andrew Skurman by Andrew Skurman (Princeton Architectural Press). 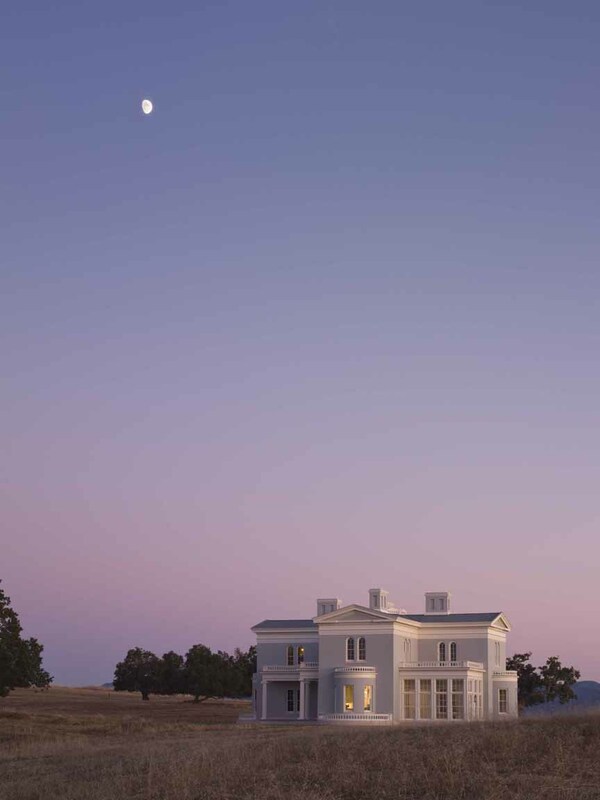 I wrote a long feature about this exceptional new architecture book (please check HERE for that review and further information) earlier on THE STYLE SALONISTE. 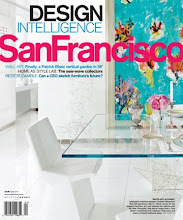 Andrew Skurman, principal and owner of Andrew Skurman Architects, based in Pacific Heights in San Francisco, is an architecture purist. He’s a classicist by training and by inclination. 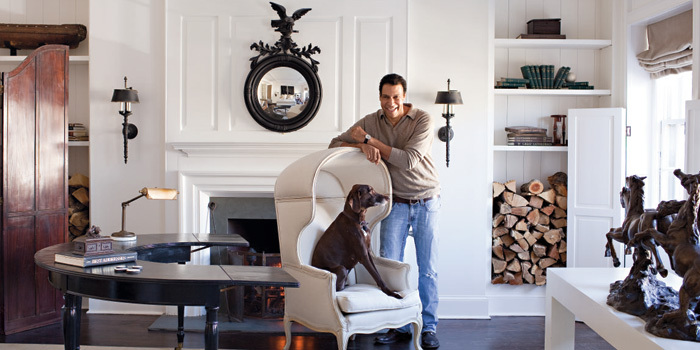 He focuses on high-end, superbly designed and crafted custom houses. Informative and lively chapters in Andy’s book cover his recent architectural projects around the world and a variety of work in process. Plans and photography and descriptions including ‘A Georgian Cottage’, ‘An Anglo-Grecian Country House’, ‘A Norman Carriage House’, ‘A French Country House’ and ‘A City Apartment’. 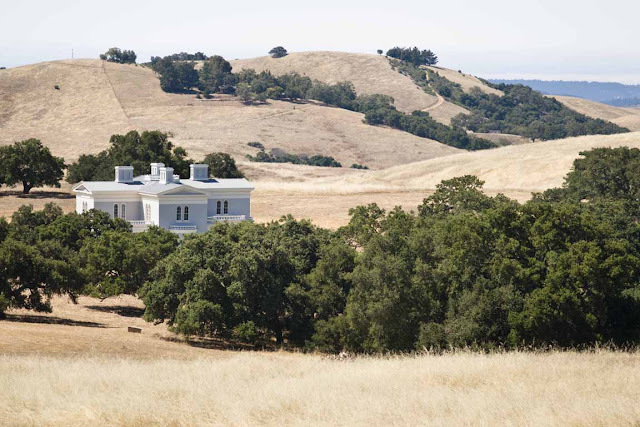 Each is a custom-designed residence. 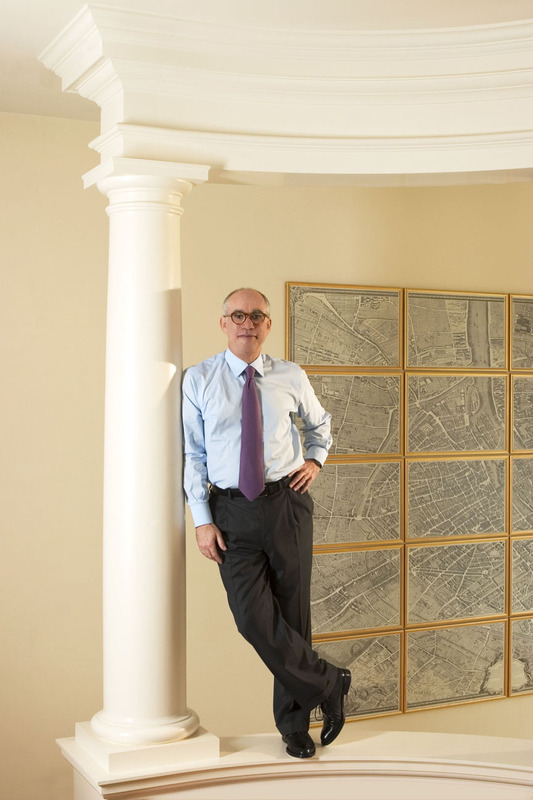 Best of all Andy offers wisdom and insight, a refined and inspirational history of classical architecture, and the riches and breadth and lavish insights of his forty-year career. 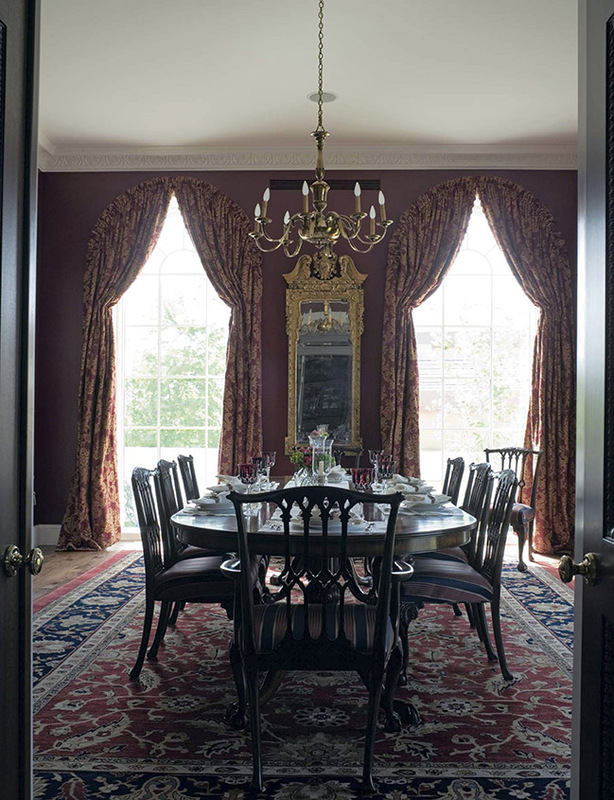 “Today, heavily ornamented rooms look old-fashioned, and my design firm loves to exercise restraint in our desire for magnificence.” Skurman writes. Andrew Skurman’s point of view and ideas and works in progress come across clearly and with insight in the book. Look on the pages of this book also for plans, and drawings of his upcoming commissions. I can’t wait for Andrew Skurman’s next book. 6. 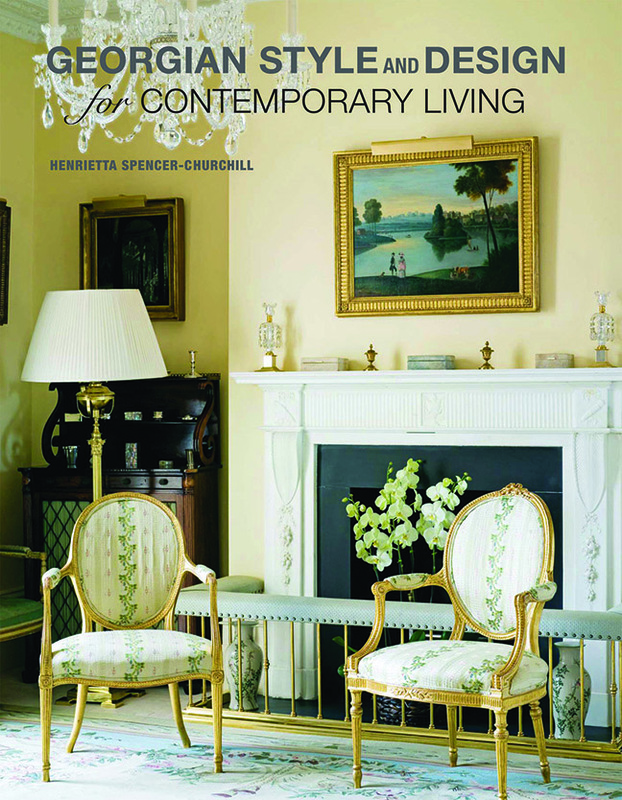 Georgian Style and Design for Contemporary Living by Henrietta Spencer-Churchill (CICO Books London New York). This is her tenth book. 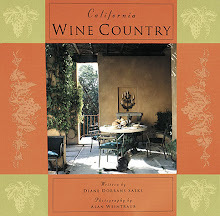 I’ve also listed another of her new books in last week’s ‘Best New Design Books Part 1’. 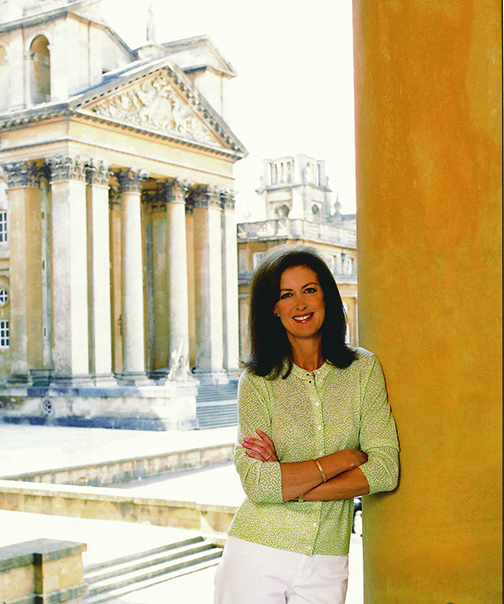 Spencer-Churchill, an historian and a noted interior designer, presents examples of elegant renovation of classic Georgian houses, as well as new residences following Georgian concepts, and she shows fine examples. I like her opening chapter showing Adam works and historic houses. 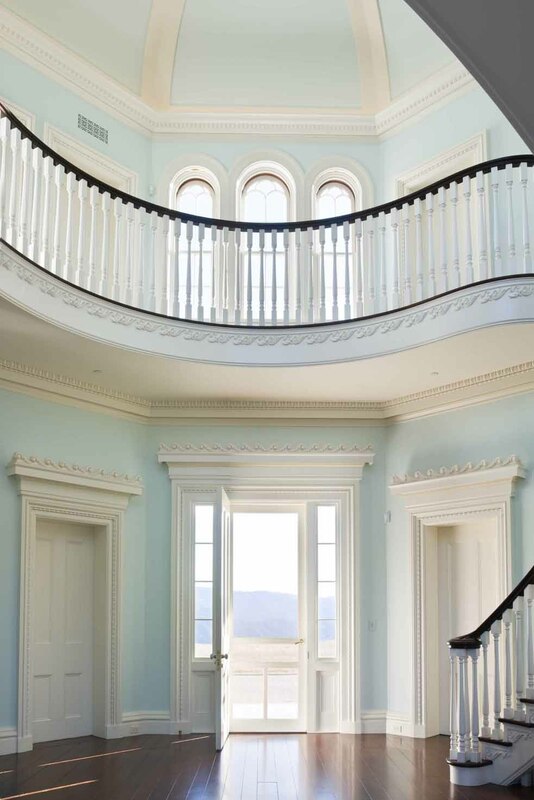 Then she walks readers through the houses step-by-step, from entry halls to living rooms, kitchens and pretty bedrooms. The rooms are faithful to the style—and many will find her classical kitchens and bathrooms of great inspiration. Most likely the reason many in the US may not have encountered Miss McCulloch is that she’s based in Australia, and possibly this new Paris book is her first published by Chronicle Books (based in San Francisco and among my publishers). 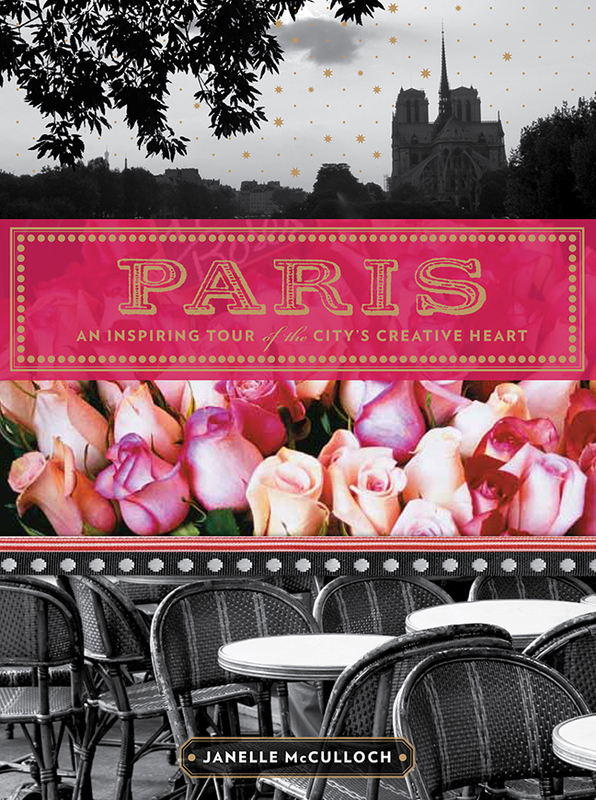 Janelle’s Paris style and design book is organized for walking, savoring and discovering Paris, by arrondissement. So she’s listed quiet walks and wanders through 18 neighborhoods. She lists streets to find, and bookshops, galleries, design shops, flea markets, florist, museums, houses to visit, and paper, stationery and art stores. Just the ticket. I like her lists of my favorite chocolate shops, patisseries, bakeries, restaurants, tea salons and places of flavor. The book is perfect for dreaming of Paris—and doing your research before departure. It’s full of information. It’s too big to carry with you every day, but with that essential book of maps, PARIS PAR ARRONDISSEMENT (tiny) in your pocket you’ll easily find your way. She’s now working on a book on Chanel’s Paris haunts and style influences. 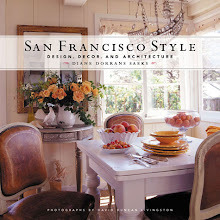 A refreshing new look at Paris, design and architecture, and style, and an inspiring gift for your Francophile friends. All images provided with specific and express permission by the publisher of each book. A wonderful list Diane. 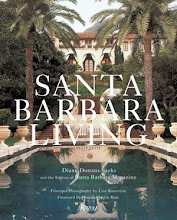 I have Darryl Carter's book on my Christmas list and have already borrowed the Andrew Skurman book and Henrietta Spencer-Churchill's from the library. I have learned a lot from both! 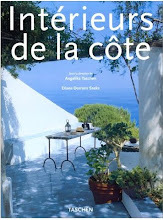 I can't wait to look up the Paris book...it is a city to savour and this book sounds like "just the ticket" as you say! Thanks for your wonderful, detailed reviews! I'm thrilled to hear from you. 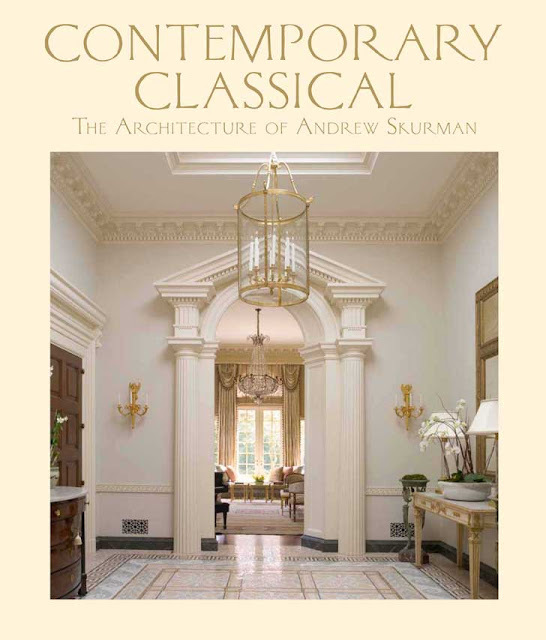 I'm happy the Andrew Skurman book is in the library, and there is much to learn about architecture. It would be wonderful for students to study it. I like the Paris book, as it focuses very much on the topics I love and seek out in Paris--museums, galleries, art supply shops, book shops, and historical buildings and 'only in Paris' boutiques and cafes. It's organized around neighborhoods--and an ardent walker/seeker/adventurer could plan days of wandering and exploring with this book. 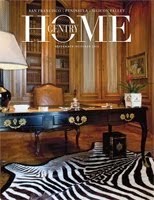 I know you love Paris--and I think you will find the style of this book very much to your taste. You might like the author's blog as well. Lovely to hear from you. 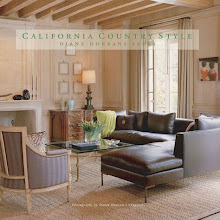 Your enthusiasm and engagement in design and style are wonderful and inspiring. Thanks. I love when my dear readers fine new ideas, new people, and new talent in my features. Oh, and I always suggest that as Terri did to borrow these books from the LIBRARY...and otherwise to buy from LOCAL BOOKSELLERS. One reader asked if I get a 'commission' from amazon.com for recommending these books. i select them very and totally independently from all the design books I read over a season, and select the ones that are worthwhile and important to save. No...not a cent from amazon and I would not expect it. Please buy from local BOOKSELLERS or from amazon if that is convenient...buying books is important. 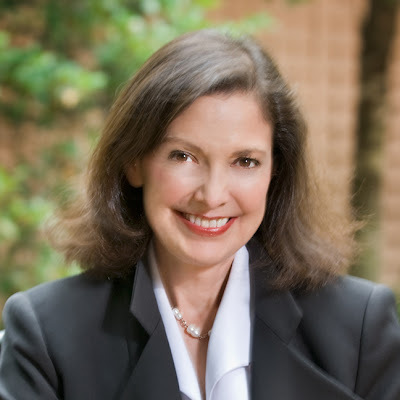 Dear Diane, Please forgive me for not writing sooner. I've been in lockdown to try and finish writing a book, and have not been checking my emails regularly. I've just read your beautiful post now and am so touched. Thank you for graciously covering my Paris book on your beautiful blog. It is so very kind of you. I've actually been following your work for years, and have been impressed by both the output and the quality. Your books are just gorgeous. The Paris one has been surprisingly successful. So much so, we're now working on a sequel! Many thanks, once again, for your kind mention. Do email if you're ever in Australia. I'd love to take you out to lunch as a little thank you. Please forgive me for not writing sooner. I've been in lockdown to try and finish writing a book, and have not been checking my emails regularly. I've just read your beautiful post now and am so touched. 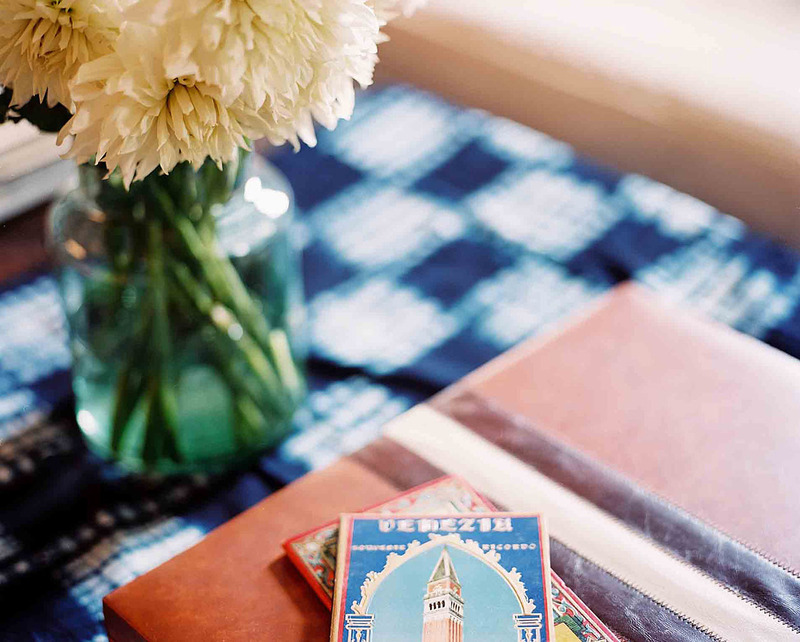 Thank you for graciously covering my Paris book on your beautiful blog. It is so very kind of you.